The states of Rajasthan, Gujarat, Maharashtra, and Goa comprise the western region of India. 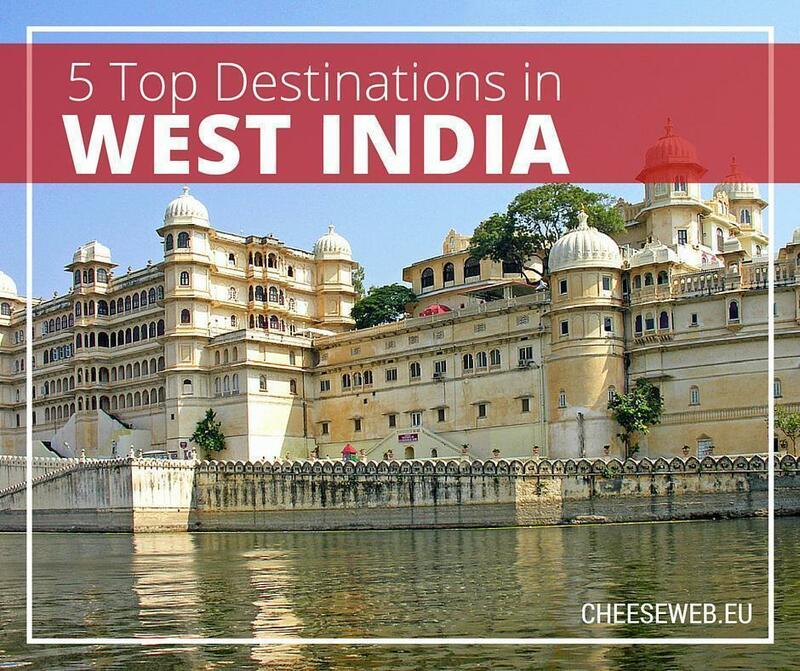 Western India also includes the union territories of Daman and Diu and Dadra and Nagar Haveli. This region of India is half bound by deserts and half adorned by beaches. Flanked between the deserts on the north-western side, the Vindhya Range on the northern side, and the Arabian Sea on the western side, Western India will leave you spellbound with the immense geographical diversity it offers! Western India’s culture is influenced by north and south India, alike. The cultures and traditions in each state are varied and diverse. From Mumbai’s pav bhaji and Bollywood-influenced lifestyle to Rajasthan’s abundant palaces and kingdoms to Goa’s beaches, each state offers a unique experience that will remain etched in your memory forever. Goa is one the most popular travel destinations in the world, highly praised for its beaches and rich heritage! A large number of tourists come from the west to the sun-soaked beaches of Goa to get a tan and enjoy the cool breeze of the sea. Goa is also a perfect destination for adventure-lovers and party animals. A wide range of water sports activities is available on the beaches. Dudhsagar Falls is another major attraction that is gaining wide popularity. A safari through the jungle up to the enchanting waterfalls will surely get your adrenaline pumping! Goa is home to some of the oldest and most exquisite churches. The UNESCO-listed Basilica of Bom Jesus is where the 500-year-old remains of St. Xavier are kept and is must visit. The churches have a majestic aura about them and reflect influences of Portuguese architecture. Another of Goa’s attractions is the famous music festival, Sunburn, held around the New Year, and you simply cannot miss it! 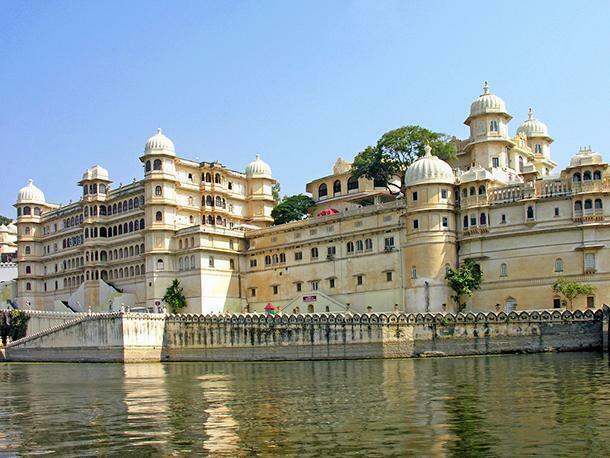 Also known as the “city of lakes”, Udaipur is majestically nestled between hills and mountains. It is an enchanting city comprised of mystical white marble palaces, calm lakes, and exquisite gardens and temples. It is one of the most beautiful and romantic destinations in the country. One of the major attractions in Udaipur is the lake palace, made entirely of marble and situated in the middle of Lake Pichola! It is like heaven on earth. This palace is now a five-star hotel. The City Palace, on the banks of Lake Pichola, is a massive complex of architectural splendour offering a broad view of the city and the surroundings. Other attractions include Fatehsagar Lake, the rock garden, and the monsoon palace. 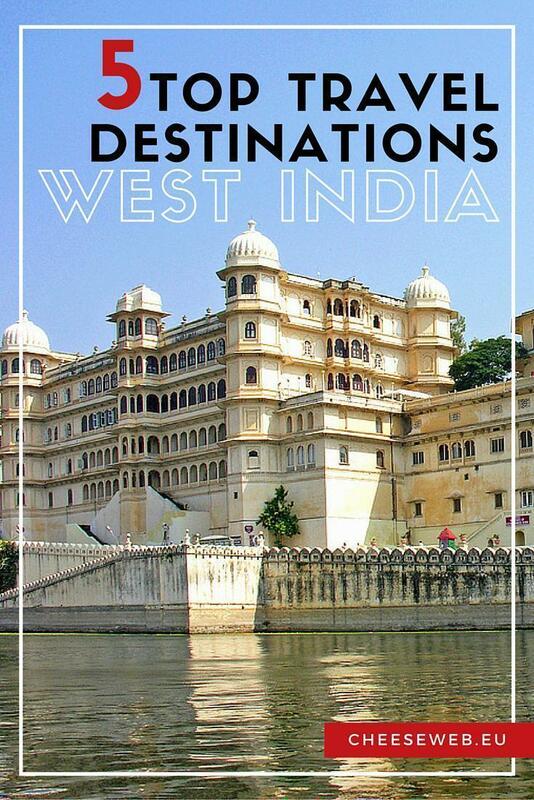 Udaipur, with it royal aura will keep you spell-bound throughout your stay! The city of Daman lies on the west coast of India and presents an amalgamation of Portuguese and Indian cultures. Daman is the place to party and relax! It has perfect climatic conditions and beautiful beaches that are relatively less crowded. Daman boasts incredible architectural splendours and a rich cultural background. 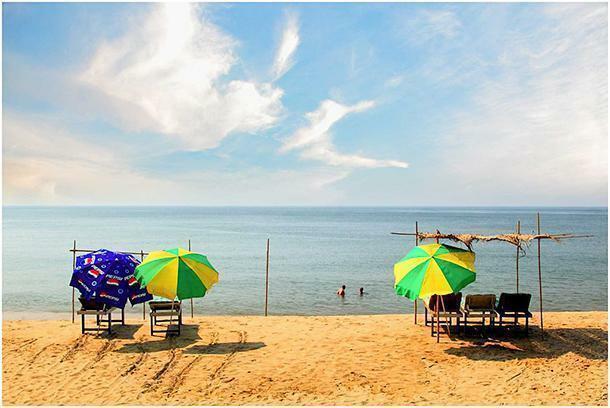 Two popular beaches include Devka Beach and Jampore Beach. 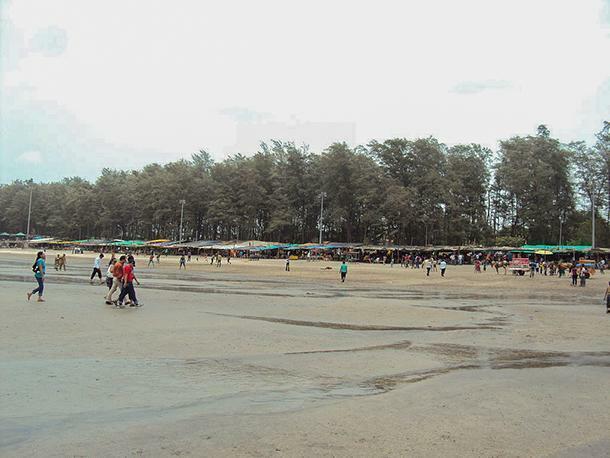 Jampore Beach is a perfect picnic spot and lies in a secluded area, while Devka Beach houses musical fountains and an amusement park along its shoreline making for a fun-filled evening with family and friends! The city of Bhuj lies in the Kutch district and is a location of immense historical importance. Bhuj has seen the era of Indus Valley Civilisation; it is where the Pandavas were exiled after the Mahabharata, and it was invaded by Alexander the Great! Bhuj is a famous shopping destination for handicrafts, printed textiles, leatherwork, saris, etc. It is also known for beautiful monuments such as the Aina Mahal, an exquisite palace constructed in a European style almost 350 years ago. It is known for the hall of mirrors and the detailed tile work and fountains. The Rann Utsav festival is a major attraction and is organised annually to display traditional handicrafts. 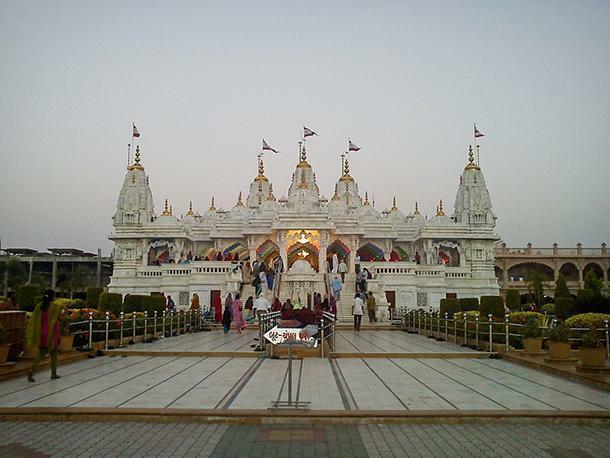 Bhuj is the city of palaces and has witnessed some significant historical eras. Mumbai is a city that needs no introduction. It is where Bollywood, the Indian film industry, has blossomed. It is India’s city of dreams. Apart from the star-studded streets, Mumbai is famous for its beaches, rock-cut architecture, and yes, of course, Essel World, India’s largest theme park! An evening walk on Juhu Beach, while enjoying Mumbai’s famous pav bhaji, is an unforgettable experience you won’t want to miss. A walk along Marine Drive is another favourite tourist pastime. Ajanta, Ellora, and the Elephant Caves comprise the rock cut architecture of Mumbai and are widely popular places to visit. 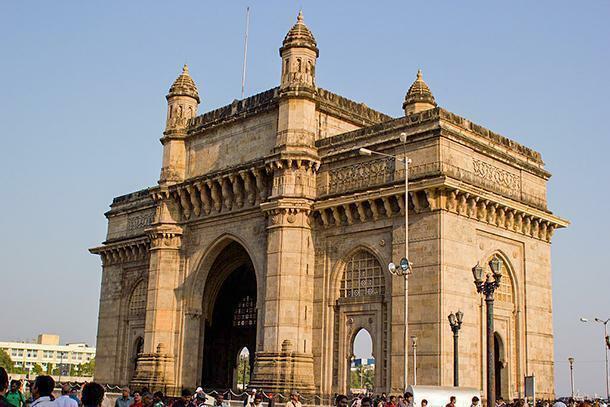 There’s so much to do in Mumbai – from visiting famous monuments such as the Gateway of India to partying at the nightclubs to having fun at the amusement parks or just taking a walk along Juhu Beach. Adlab’s Imagica, a recent addition to Mumbai, is an Amusement Park which will leave you stunned! There are visible differences in the states of Western India that let you enjoy the varied cultures, traditions and even nature! To unravel these differences and a lot more, you have to visit and be amazed.